One of the most important factors in any business is time. 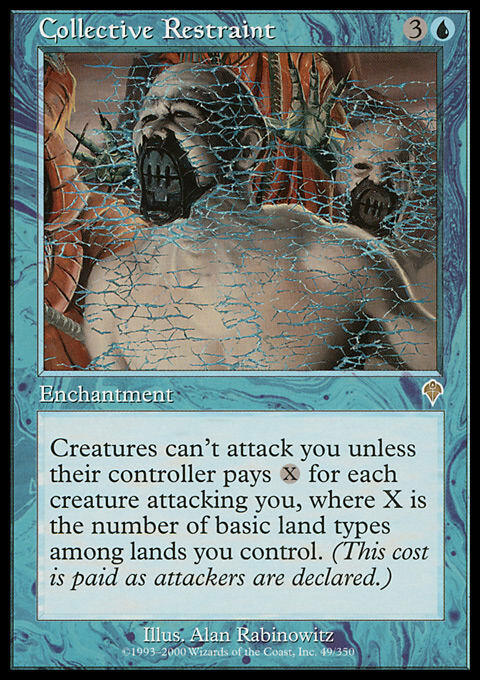 As the old saying goes, “time is money,” and that holds true for the financial end of Magic as well. Players refer to this as EV, or expected value, a term that has carried into the financial world as well when evaluating whether an event is worth attending. So as a trader, what is the best way to maximize those few precious days you have to trade, buy, and sell? This week, I am going to talk about just that and lead into next week's article in which I will be covering buy lists on commons and uncommons since I have been promising that for a while now. Before I go in depth with exact numbers, I want to take this week to instead elaborate on something I briefly covered last week, ogreing boxes. 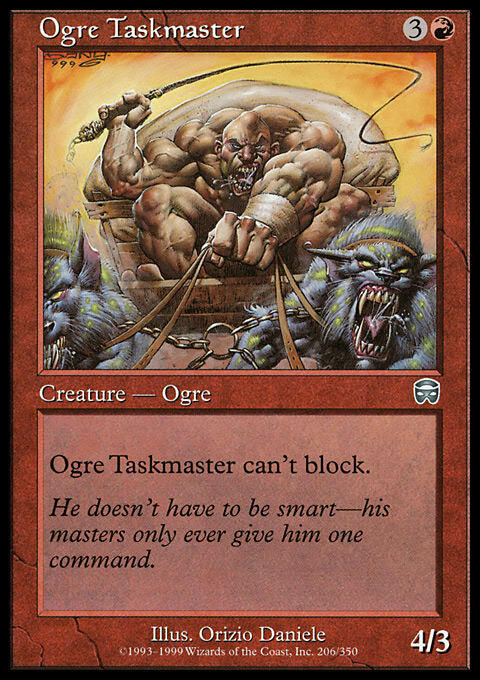 The concept of ogreing a collection is truly very simple, take the cards that are better than bulk and organize them by the price you are looking to get for them. The truth behind it is that there is a lot more work involved than most people would suspect, and if you approach pricing the wrong way, you are more likely to look like an amateur and be dismissed than you are likely to make any money. Until those cards have been sold, they are only theoretically worth what price you have put on them, so don’t be too hung up on making to dollar on each item. This approach works best for people who are picking up and flipping large quantities of cards since you can make less per card and still not run out of stock. For people who are looking to out less than a few thousand cards, this approach is hardly worth the effort, and you are better off just shopping each buy list to find the best deals. For those of you still interested in this approach and itching to know how to go about it, let’s continue. The first step in this process is to make sure you have some sorting room. The initial process behind being this organized can be daunting at first, but believe me, once you have done it once, it will make things so much quicker in the future, maximizing both your time and profit. There are probably a lot of cards that you already know the price on, so start your piles with those so you have some sort of a base to work with. Most cards don’t change in price very often, so getting what you do know from past experience out of the way can give you some organized piles to start your sorting with. Depending on how hard you pick and how particular you are will depend on how many piles you have and at what price intervals. To start with, I would suggest the same prices I use, which are: $.10, $.15, $.25, $.35, $.50, $.65, $.75, $1, $1.50, $2 . . . and continuing on from there. I have a lot of time to sort and research all of these prices, so I can afford to have more piles, but if you are looking to streamline the process and don’t feel like dealing with dimes, using intervals of a quarter would work as well. Once you decide on your prices, create some durable tags that will conveniently slide up and down five-slot boxes while at the same being visible enough to easily recognize the divide. I use fat pack dividers since they are lightweight and durable, but anything that allows you to see the prices should work fine. Now that you have boxes and dividers in place, take what cards you have sorted and place them in their appropriated slots based on buy lists. This is where things become interesting—you have now essentially done half of the work for a vendor, so take advantage of that fact and feel free to ask a little more on some cards. If you know a card that would normally be bought for $1 is having a few good weekends and is probably running low on some websites, ask for a premium by putting it at $1.50. Worst case scenario is that it doesn’t get picked the first time through and you can then drop the price back down. On the same note, don’t go overboard with pricing either. The goal of these boxes is to streamline the process, saving both you and the vendor time, putting you back on the trade floor quickly. For most cards, I try to find a moderate price that is high enough to allow me to make a solid profit while at the same time low enough to entice the dealers. The fact that one random buy list has a card way higher than all the others does not mean that is the correct price, and unless you are planning on mailing cards to twenty different dealers, it is best just to take the highest accepted buy price or slightly above. Once you have the preliminary sorting done, it is time to start doing some research. Most of the time, the rares are fairly easy to price, so you will probably be left with a bunch of commons and uncommons at this point. Pull up a few different buy lists, and form a good idea what a card is going for, and base your price on that. Sometimes, you won’t have the right price immediately, and if that happens, don’t worry—this box is an ever-changing entity, so if a card is left in there one weekend because the vendors just aren’t willing to budge, save it for the next event or lower the price if need be. I will talk more about commons and uncommons next week in regards to buy lists so you have a good starting point for how to price them. For now, though, just put everything into piles and then box them accordingly. Once you have all the groundwork done and are ready to head to the event, be sure to contact some of the dealers in advance if possible, and let them know you have a great deal of cards that are already priced out. Some dealers may prefer to meet in advance to save both of you even more time at the show; even if a vendor wants to meet on site, the vendor will at least know to expect you and may give you a time to come meet. This is one of those times having good relationships with the dealers can work heavily in your favor. Having dealt with most of the dealers I see at shows on a regular basis allows me to set up a schedule that works well for everyone if I happen to show up with some ogred boxes. From this point on, just try as best you can to keep to the schedule, and don’t be hung up on negotiating yet. Give everyone a run through before you start haggling—though someone may be willing to pay just under what you have labeled, that doesn’t mean someone else along the way won’t pay your asking price. You have a second round of sales to negotiate if you so choose, so try to keep the first time around as quick and easy as possible. If you choose to shop the boxes around a second time because you didn’t sell enough or you just want to unload a bunch of cards, be more willing to work with people. There are certain cards you shouldn’t budge on, but if someone offers $.35 on a card that you have for $.50, and no one else has taken interest, unload them. Don’t be too hung up on your prices—although you put a lot of time and effort into these boxes, dealers knows the top dollar they can pay, and sometimes, it’s just better to take it than drag to many cards back home with you. That about wraps up what I want to cover this week on the topic of sorting boxes for sale at shows. I hope to have a buy list out for next week on the commons and uncommons worth sorting, but given my busy weekend, it may have to wait one more week. I will be working for Troll and Toad this weekend at Anime Expo in Los Angeles, so if you happen to be there, stop in to the dealer hall and say “hello”—maybe even sell some cards. I expect four days of Gen Con like buying from dawn until dusk, but as long as I have some free time at night, I will work on getting lists around for next week. There is a lot more to ogreing boxes than most people think, but if your collection is sizeable enough, it is certainly worth the initial time investment. Once you have the dividers and have looked up all the spare cards you have sitting around, the next time around goes much faster because you don’t have the setup time, and you will already know the prices on a good number of cards. The longer you do this, the quicker it becomes, and eventually, you get to a point—where the actual Ogre is now—that allows you to have pre-established agreements with dealers. Join me next week from the heart of Los Angeles after my four-day tear at Anime Expo for some more hard-hitting financial information. Until next week, get your bulk ready, and get to sorting!